They say it’s the journey, not the destination, and that’s certainly true for road trip comedies. Whether focused on unlikely pairings or dysfunctional families, the best road trip movies find laughs along every mile as tight quarters and frustrating setbacks push characters out of their comfort zone. There’s comedy gold in a cramped car full of people who want to be anywhere else. This summer we get to see Boundaries, directed by Shana Feste. 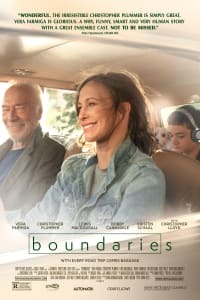 The film follows Laura (Vera Farmiga), her troubled teenage son Henry (Lewis MacDougall), and her estranged father (Christopher Plummer) on a drive from Portland to Los Angeles. Plummer’s not-quite-patriarch motivates the trip; he was kicked out of his retirement home for selling pot, and plans to live with his other daughter in LA. Along the way, Henry helps his grandfather sell his weed supply. While we wait for Boundaries to open, let’s take a look back at some of the best road trip comedies. Belushi and Akroyd expanded their iconic SNL characters to drive a full-length comedy. Jake and Elwood Blues set out to raise money to save the orphanage they were raised in. Naturally, they try to do this by putting on a show. The tuneful duo sets out on a “mission from God,” cruising in the Bluesmobile to track down former band members. What ensues is a wild trip across Illinois that sees them running from the law, Nazis, and, most hilariously, Jake’s former fiancée (Fisher), who is on a vengeful mission of murder. Vacation is one of the most memorable comedies of the ’80s, packed with slapstick gags and perfectly-delivered one-liners. The film the bar for family road trip comedies. Chevy Chase is the hapless Clark Griswold, who drags his disinterested family on a disastrous cross-country journey. Their destination: Clark’s favorite theme park, Walley World. Unintended pit stops and mechanical snags try the family’s dedication to one another, but the Griswolds eventually get to their destination, even if things don’t work out as they hoped. 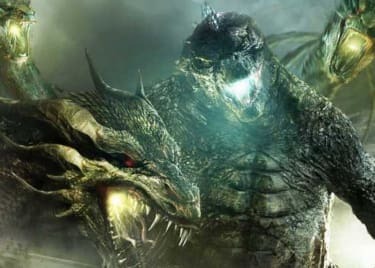 The film became an instant hit and spawned four sequels, with the most recent in 2015. Vacation screenwriter John Hughes followed his hit Ferris Bueller’s Day Off with a new road trip comedy, Planes, Trains and Automobiles. Harried exec Neal (Steve Martin) is delayed flying out of New York thanks to a blizzard, and the helpful Del (John Candy) offers to help him get back home to Chicago in time for Thanksgiving. The two couldn’t be more different, and the first stages of their trip together are fraught with discord. But Del becomes an unlikely friend to Neal, and turns out to be his saving grace – and that’s what makes this not just a fun comedy, but a holiday classic. The must-see indie of 2006 grabbed our hearts with its unforgettable vision of a dysfunctional but loving family. In order to get young Olive (Breslin) to a beauty pageant, the Hoover family road trips from Albuquerque, New Mexico to Redondo Beach, California in a beat-down yellow VW bus. The whole clan is on board: parents Sheryl (Collette) and Richard (Kinnear), Olive’s mute brother (Dano), suicidal uncle (Carell), and heroin-shooting grandfather (Arkin). The family hits some literal and metaphorical bumps along the way, but the award-winning film is a true testament to the value of family support. This bloody, funny spin through a dark version of the American landscape puts a post-apocalyptic twist on the familiar road trip comedy. 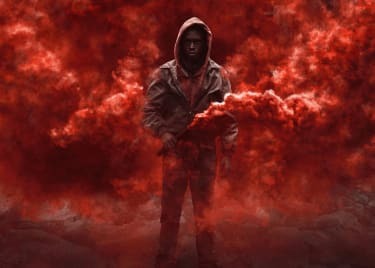 Zombies plague the world, and a college student (Jesse Eisenberg) tries to make his way from Texas to Ohio in hopes of reuniting with his family. He finds a makeshift road family, however, in the form of zombie-killing Tallahassee (Woody Harrelson) and sisters played by Emma Stone and Abigail Breslin. The group heads for a supposedly zombie-free haven and an encounter with a celebrity survivor. Captain Fantastic is one of the best but underseen films of the past few years. Ben (Viggo Mortensen) and his wife raise six children in the Washington wilderness, teaching them survival skills and a humanist philosophy. After his wife commits suicide, Ben and the kids go on a road trip to attend the funeral his wife’s father is planning. Along the way, the kids experience the outside world, meet surprising family members, and begin to question their father’s parenting techniques. Boundaries opens on June 22, 2018.